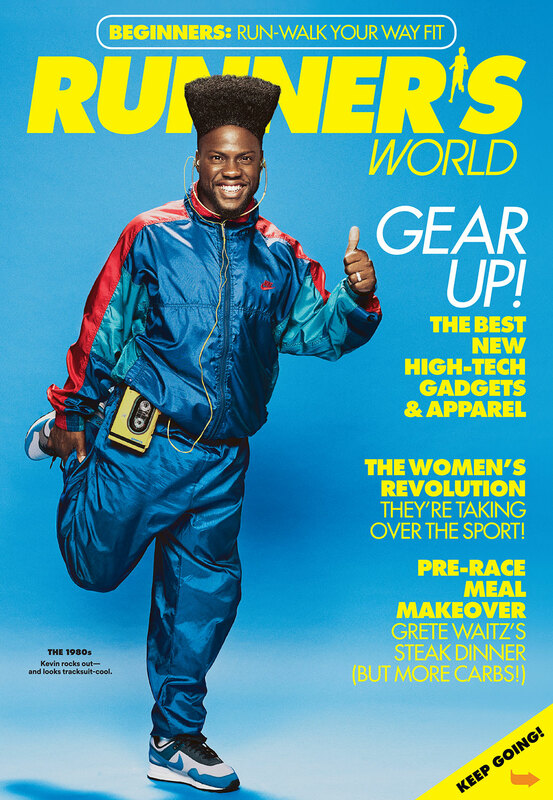 In his editor’s letter for the 50th-anniversary issue of Runner’s World, David Willey explains why the magazine chose to publish a six-cover edition featuring hilariously retro portraits of actor/comedian Kevin Hart and Olympic long-distance runner Alexi Pappas. 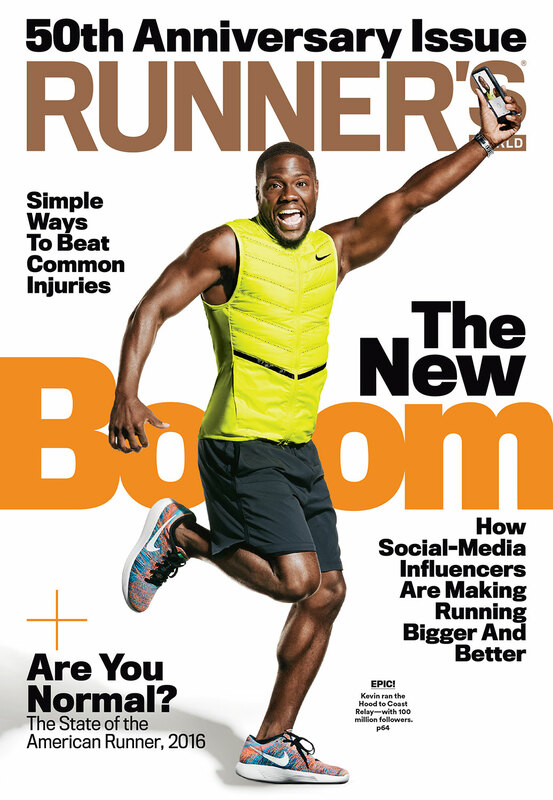 “In addition to being the ‘face’ of each issue, a magazine cover (a good one, anyway) is a mirror of the times in which its readers are living,” writes Willey. “But here’s an interesting thing about looking in a mirror: You see yourself in the present moment, but you also glimpse what’s behind you. With that in mind, we set out to create something special for this issue. 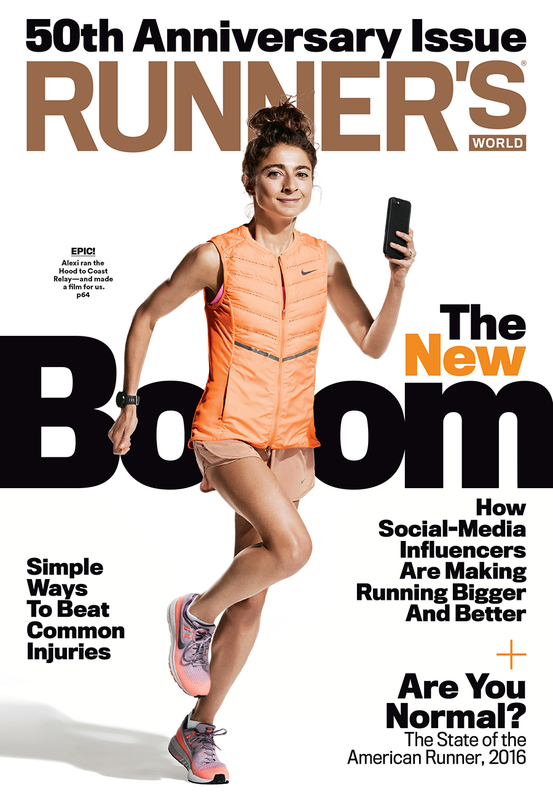 The idea was to shoot two runners (one male and one female, to match our 50/50 readership) who personify the current moment in running—and who could ‘reenact’ two memorable eras from the past 50 years. Here’s a look at the covers, which were shot by Art Streiber, along with a few behind-the-scenes pictures. Visit Art’s Instagram feed to read more about the shoot. Kevin Hart channels that ’70s vibe. 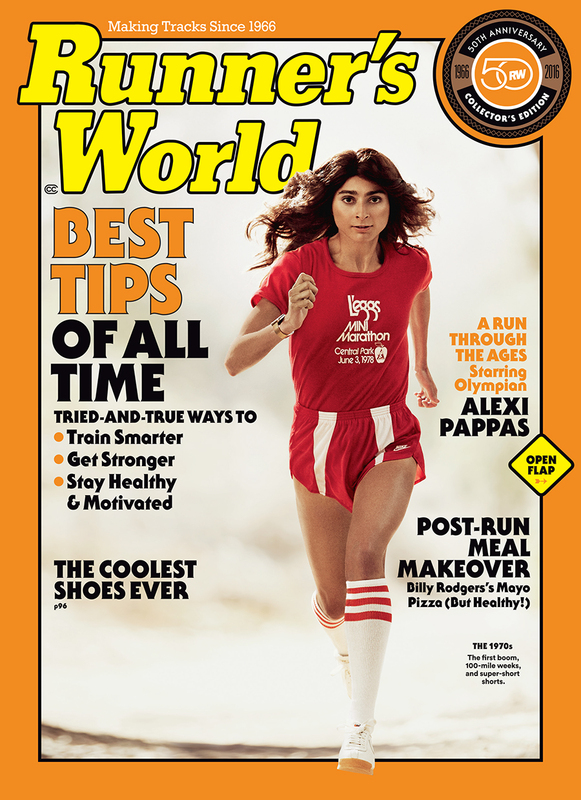 Photo by Art Streiber for Runner’s World. Alexi Pappas. 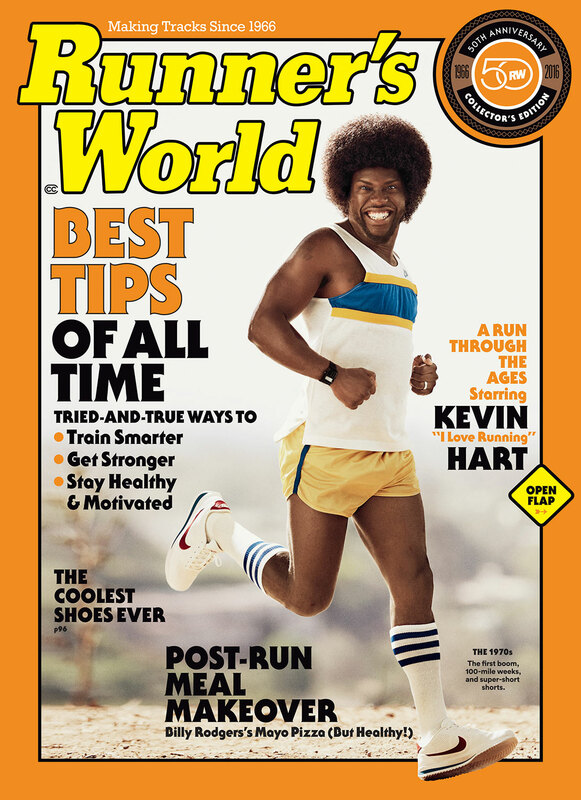 Photo by Art Streiber for Runner’s World. 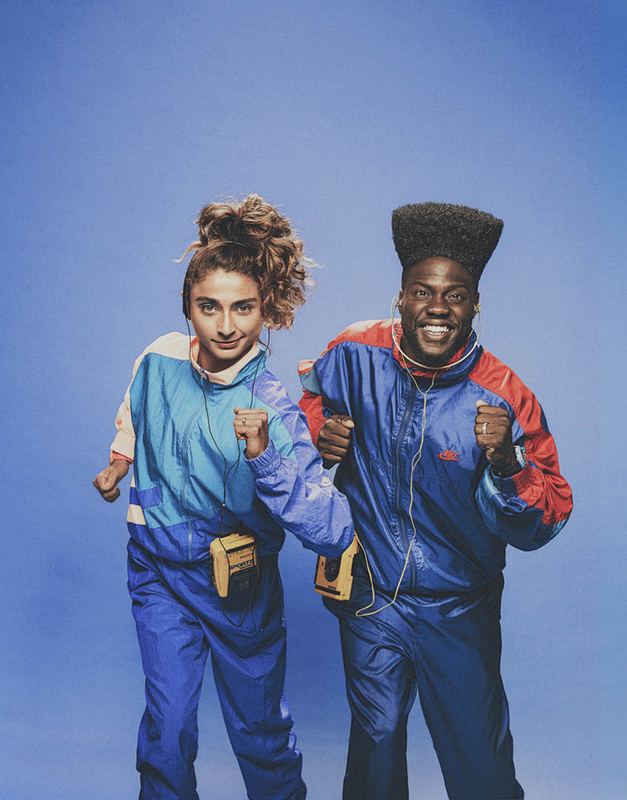 Suiting up for the ’80s, Walkman included. Photo by Art Streiber for Runner’s World. Photo by Art Streiber for Runner’s World. The multitasking 2000s. Photo by Art Streiber for Runner’s World. Runner’s World editor David Willey with Pappas and Hart. 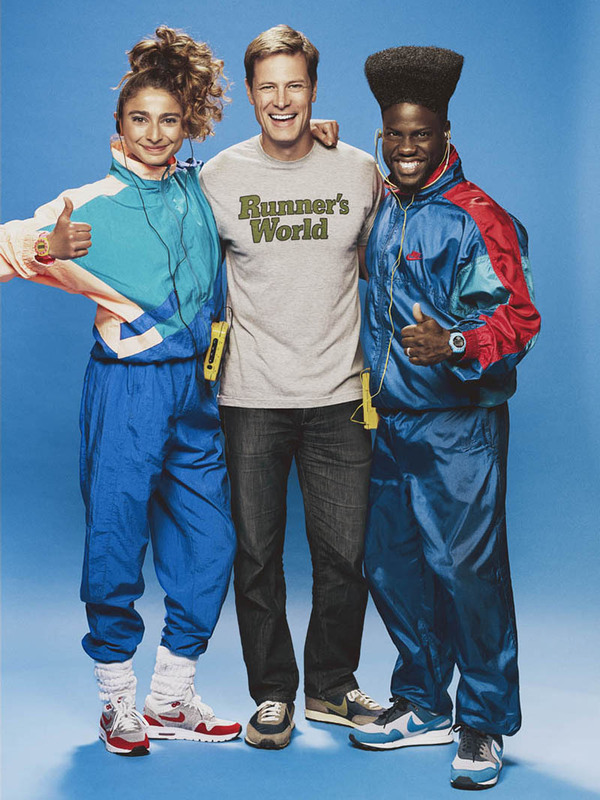 Photo by Art Streiber for Runner’s World. 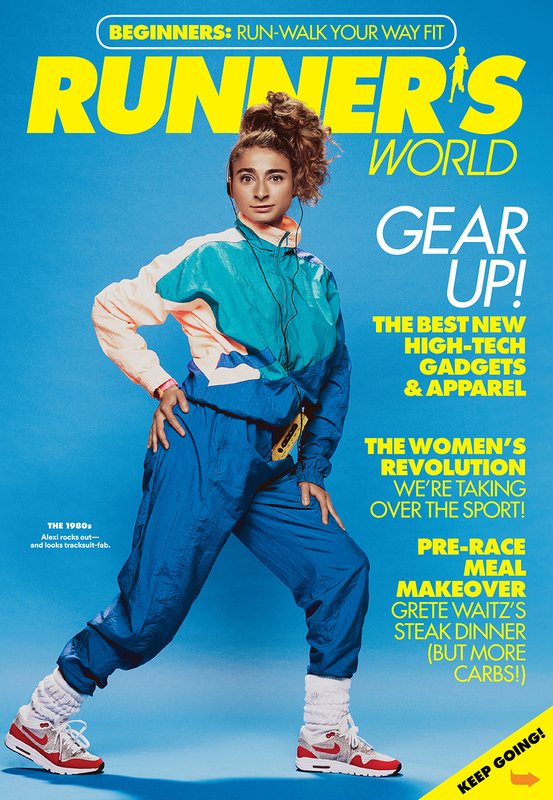 “To get that VERY ’80’s look for the second of SIX covers celebrating the 50th anniversary of Runner’s World magazine, put up two standard Profoto umbrellas and make sure your hair light is way overdone. Incredibly wig work by @juanitalyon. Kickass vintage athletic wear procured by @heidimeek. Ultra-crazy shoot day exquisitely produced by @brookeludi. Had-to-be-yellow Walkman cassette players provided by @photobuffalo. Lighting by @paoloalfante and @zacharybako.” Photo and caption courtesy @aspictures. “Sometimes, all it takes to look like daylight is a Profoto Magnum Dish, a large soft box and a white cyc. Throw in a dirt skin rug and Kevin Hart in an oversized afro wig, and it’s 1977 all over again!” Photo and caption courtesy @aspictures. “Yes…multitasking is real! Running on a platform while holding a cell phone aloft is entirely possible. And to capture the action, you gotta shoot the Canon 5DMarkIV. And if your motor drive is on, you gotta get those Profoto 8A packs dialed at a setting of 6.5 or lower so that the strobes can keep up with the motor!” Photo and caption courtesy @aspictures. 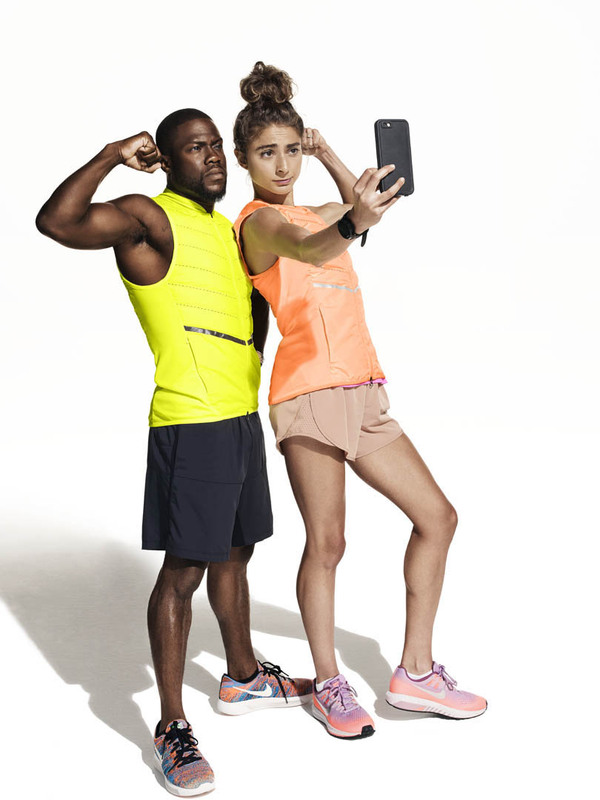 This entry was written by kfeliciano and posted on 10/24/2016 at 1:14 pm and filed under interviews and behind the scenes, recent work with tags Art Streiber, Kevin Hart, Runner's World, Streiber behind the scenes. Bookmark the permalink. Follow any comments here with the RSS feed for this post. Post a comment or leave a trackback: Trackback URL.